Bird news travels fast on the east coast of England. Today, a stilt sandpiper has been spotted, a bird not seen in Lincolnshire since 1965. Twitchers stream to the RSPB reserve at Frampton Marsh. Opening hours are extended. The charity warns visitors not to speed in their cars. “No bird is worth causing an accident for!” they tweet. This is the edge of the Wash, England’s biggest site of special scientific interest (SSSI), otherwise known as a site protected by law for biodiversity reasons. This vast bay is laden with habitats: mud flats, open water, salt marshes, freshwater marshes, brackish lagoons, shingle structures, sandbanks, chalk cliffs, gravel pits. But the government’s conservation body Natural England hasn’t monitored most of this SSSI, nor the one on the North Norfolk coast immediately next to it, for eight or nine years. It’s not unusual here to see creatures that are rarely seen elsewhere in the UK. There are marsh harriers (now rarer than golden eagles in the UK), water voles (the most rapidly declining mammal of recent years) and bitterns, Britain’s loudest bird, which almost became extinct in the UK in the nineties. Data now shows that almost half of England’s best wildlife sites haven’t been monitored by the government in the last six years, as national guidelines dictate. The Wash is home to the largest state-owned nature reserve in England. Other parts of it are privately owned, alongside one RSPB nature reserve at Snettisham. 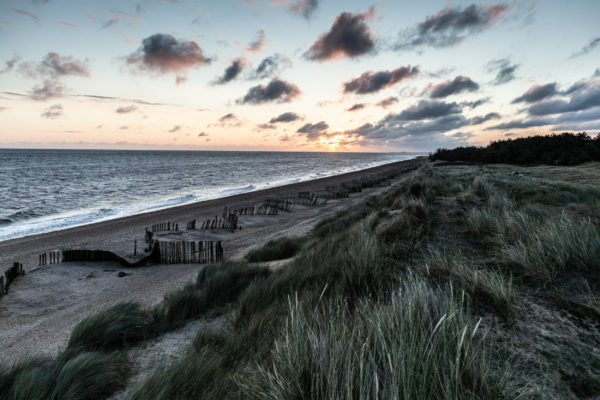 The lack of monitoring is less of an issue along the Norfolk coast, where several conservation charities manage most of the landscape, but without government oversight, they are increasingly being left to regulate themselves and pick up where government intervention is lacking. Meanwhile this landscape, and the crowd of habitats it is home to, is changing. 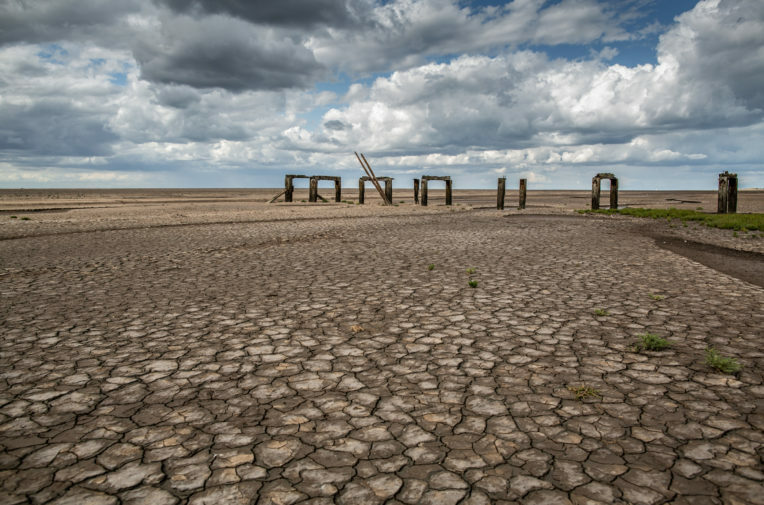 No county in mainland UK is more at risk from climate change than flat, low-lying Norfolk. The coastline is steadily retreating and the tide is eating away at the habitats. 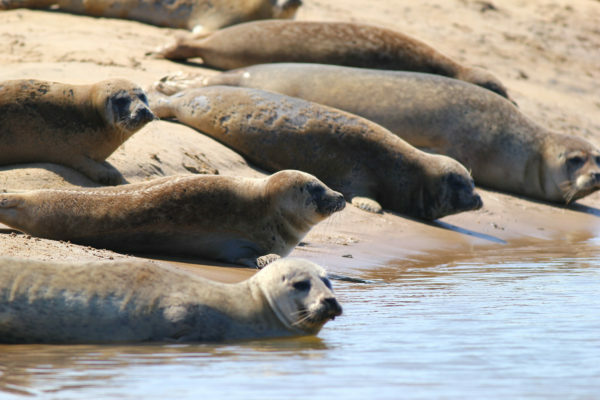 On the border of Norfolk and Lincolnshire, the Wash is home to the UK’s most important wetlands, one of England’s largest common seal populations and is a site of international significance for wintering birds. 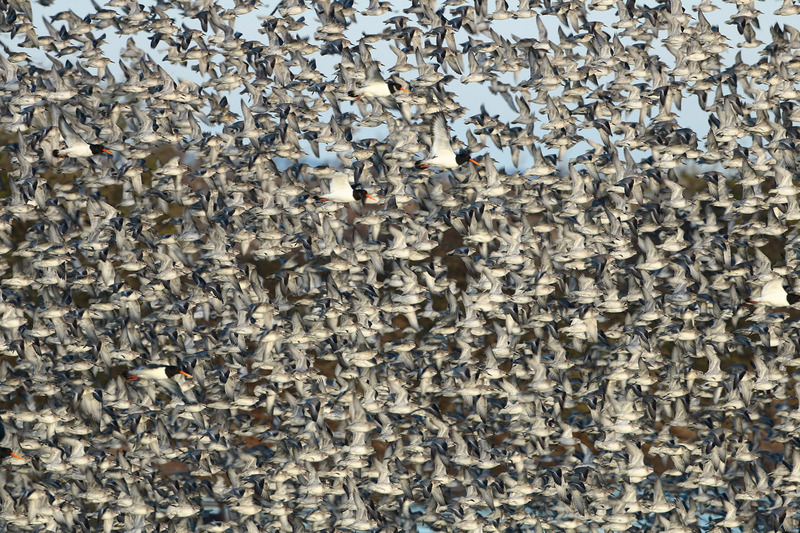 Every year, up to half a million flock here on their annual migration to feed. 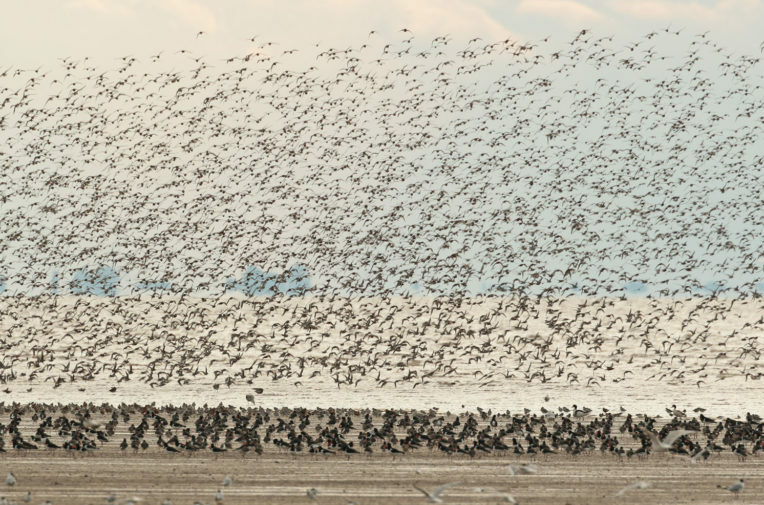 When the tide pushes them off the mudflats, they take to the air in conjunction, swooping together in a vast spectacle. 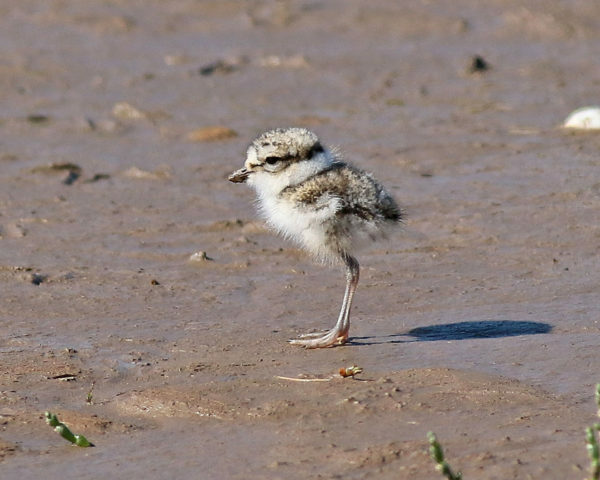 Many of the birds on the Wash and Norfolk coast are thought to be in a state of national decline including ringed plovers, curlew, oystercatcher, dunlin and redshank. The declines are thought to be partly down to climate change but local conservationists have more immediate concerns. 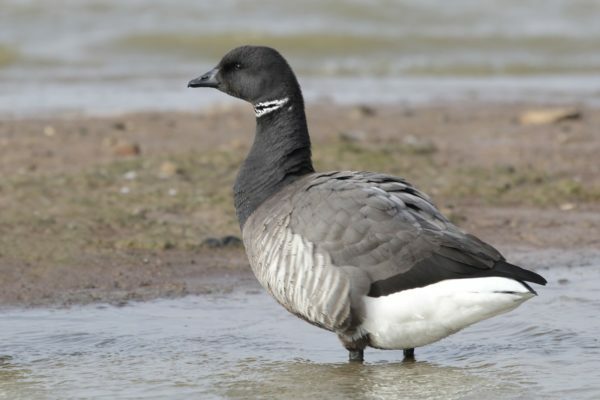 When parts of the two sites were last assessed, Natural England noted issues with people and dogs disturbing breeding birds, overgrazing, scrub invasion, and declining populations of seals, redshank and brent geese, which it said are “a serious cause for concern”. 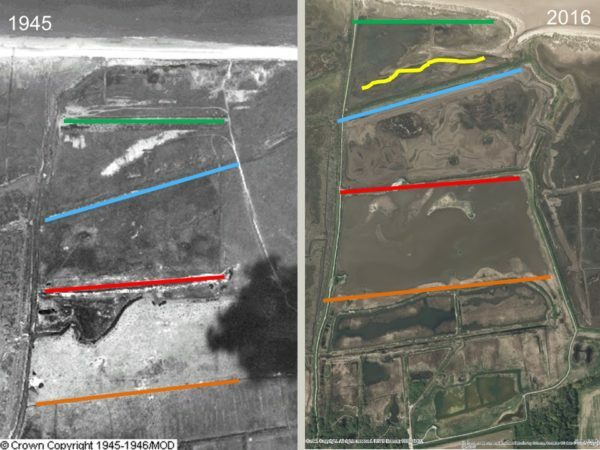 “Things are changing all the time,” says John Badley, manager of the RSPB reserve at Frampton Marsh. Some of the declining bird species were identified as an issue for the Wash in a study commissioned by Natural England in 2014, but it did not capture data itself. The literature review largely references data from 2011 and recognises that “there is a wealth of information” that it does not capture, including long-term data on habitat change or drivers related to human activity. 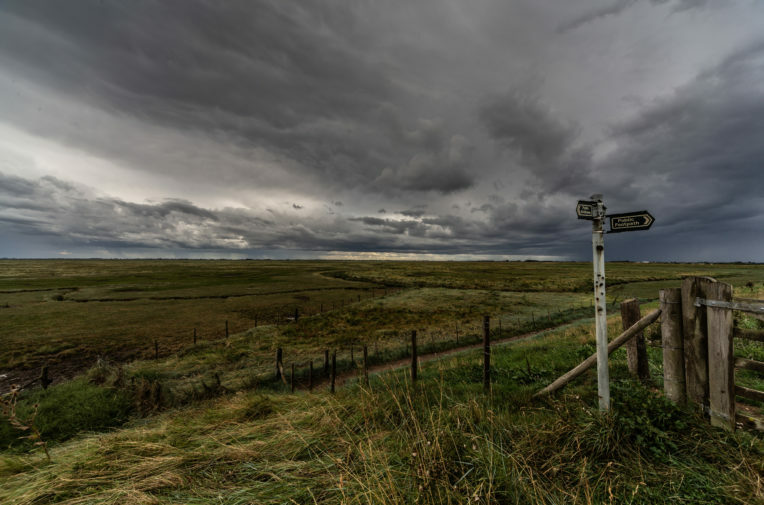 While the RSPB and other conservation organisations on the coast here monitor the sites they own, the vast majority of SSSI sites are owned privately or by government. It’s not just birds that are feeling the temperature rise. Jeff Price is a senior researcher at the Tyndall Centre for Climate Change Research at the University of East Anglia. Last year, he completed a case study on Norfolk to identify which species would find the area uninhabitable by rising temperatures. His modelling showed that 15 bird species, eight mammals, three amphibians, two reptiles, 11 butterflies, 180 moths, seven dragonflies, 12 bumblebees, 14 grasshoppers, 11 shieldbugs, two ferns, one orchid and one tree could be wiped out by a 2C temperature rise. A far smaller number of species could find the area more habitable. “It’s a wake up call that we need to be monitoring these species,” he told Wired in April. As a result of climate change, intensive farming and urbanisation, more than one in ten of the UK’s wildlife species is threatened with extinction, making it “among the most nature depleted countries in the world”, according to a major report published in 2016. 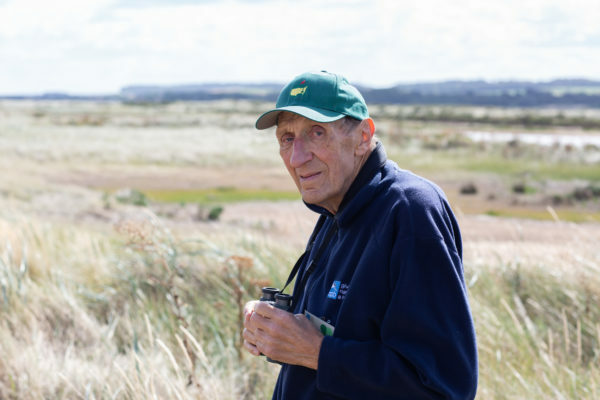 Ray Kimber is a local who has been birdwatching here for 52 years. Kimber was also here to witness the storm surge of December 2013, the highest in England for 65 years. Homes collapsed, hundreds were evacuated and roads were submerged amid the flooding. The Met Office later concluded that although there was “no definitive answer” as to the cause of the UK’s extreme storms that winter, “all the evidence suggests there is a link to climate change”. 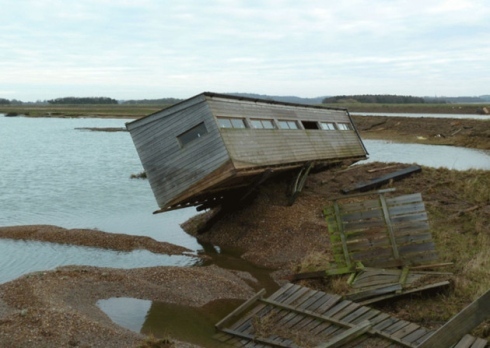 The flooding damaged freshwater habitats, swept away 80-90% of the sand dunes on some parts of the coast and destroyed bird hides on a reserve. 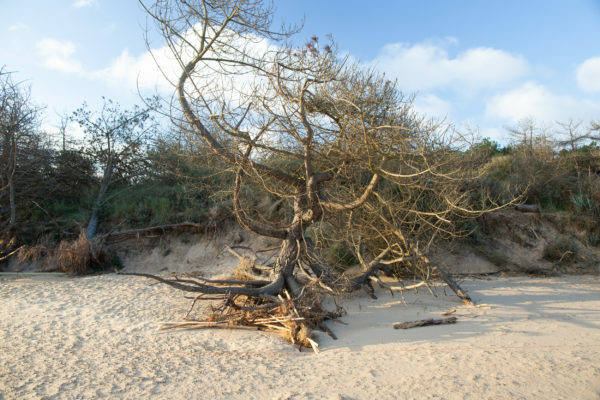 Dead trees still litter the sand, killed by saltwater intrusion from the storm and brought down further by the Beast from the East earlier this year. Only one in 73 of the units on the Norfolk coast SSSI have been monitored by Natural England since the storm; most were last assessed in 2009 or 2010. The habitats are recovering and a local crowdfunding campaign has helped raise money to repair the damage, but there are concerns that as these events become more frequent, neither nature nor local resources will be able to keep up. “If we destroy natural habitats, it affects all of us,” says Kimber “It’s not just the wildlife. It’s people’s wellbeing. It’s affecting our own way of life. It will be a very sad thing if just through lack of money the whole Norfolk coast disappeared. It would be a loss to millions of people, a whole load of important wildlife species not just birds, but plants, insects, mammals – things that are nationally rare.